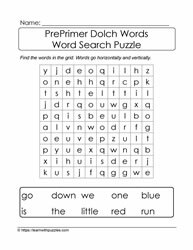 Support early learners in letter and word recognition through word search and other puzzles (currently under development). 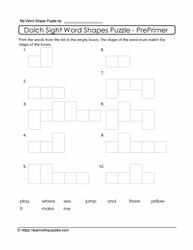 These puzzles are divided into different groups of words to enable students to focus on between 10-12 words, depending upon the puzzle. 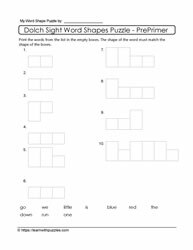 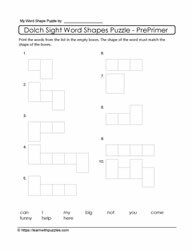 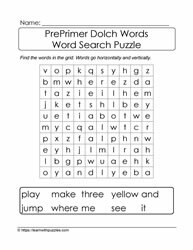 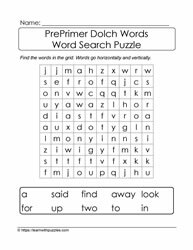 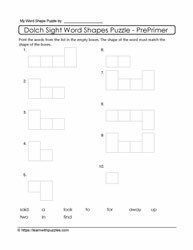 Reading and writing readiness supported by practice with preprimer Dolch sight words puzzle activities.